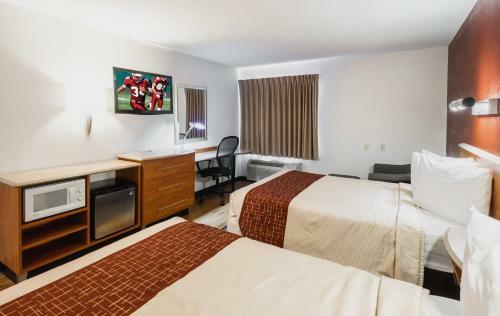 Easy access to I-95 and greater Savannah free Wi-Fi and a pool make the Red Roof Inn & Suites Savannah Gateway a popular choice for our guests visiting the area. Guest rooms at this 75-room property on three floors have free Wi-Fi internet access and data ports as well as free long-distance phone calls within the continental US. A free continental breakfast awaits guests each morning. You can work off the calories in the unheated outdoor pool or the fitness center. 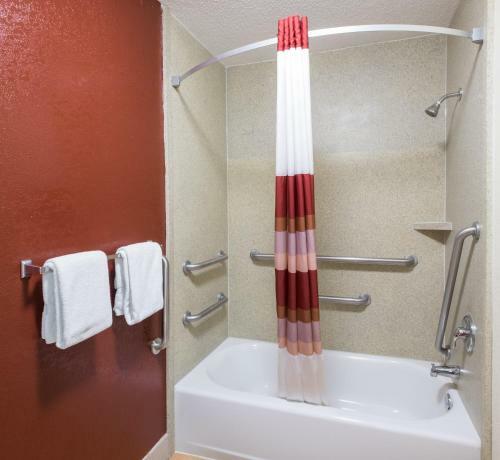 The larger suite rooms feature a hot tub mini-fridge and microwave. 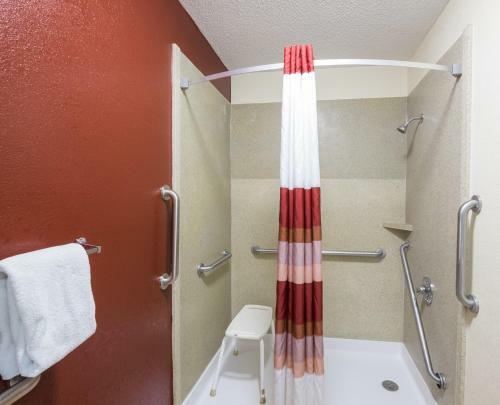 The hotel also provides a coin-operated laundry facility and one well-behaved family pet per room is welcome no charge. Parking is also free. Red Roof Inn & Suites Savannah Gateway is within 10 minutes of the Savannah Festival Outlet and the Mighty Eighth Air Force Museum. Savannah/Hilton Head International Airport is 14 miles away and Armstrong Atlantic State University St. Joseph Hospital and Savannah's Historic District are all within a 15-minute drive of the hotel. Fort Stewart is 15 miles and beautiful Tybee Island Beach is 25 miles from the hotel. Add Red Roof Inn & Suites Savannah Gateway to your free online travel itinerary.